There are five methods for creating wealth from real estate investment which can each powerfully boost returns and/or reduce risks – but they do so in unexpected ways. What these methods have in common is that while the most sophisticated institutional investors in the world routinely make use of asset/liability management strategies to boost and shape their returns, most individual real estate investors aren't familiar with these sources of wealth creation. They aren't aware of the (sometimes counterintuitive) full set of tools that are available to them, let alone how to use them. For most investors, sustained times of moderate economic growth and moderate inflation (otherwise known as "normal times") mean modest yields along with inflation slowly but steadily eating away at the purchasing power of savings and investments. What is taught in DVD #1 is how to use asset/liability management to reverse the usual relationship for investors, and turn the "background" destruction of wealth in purchasing power terms into an automatic source of yield-boosting returns which can powerfully enhance real estate performance. As illustrated above and explored step-by-step in the financial schedules, this unexpected but powerful strategy can take what would be a loss in inflation-adjusted terms for an income property asset over ten years, and turn that identical asset performance into a major gain. There is perhaps no better time to own income property purchased using asset/liability management strategies than those of rising real estate prices and general economic prosperity. As explored in step by step detail in the financial schedules, the use of asset/liability management techniques with a successful real estate investment in a rising market is indeed capable of producing annual returns of 30% and 40% and more. As indicated in the chart above, investors using asset/liability management strategies can boost their net worth by a factor of four times, five times and even more when compared to just purchasing the asset by itself. A simplified version of this particular form of wealth creation is the best known of the asset/liability management techniques among most real estate investors, but there are unexpected layers to this strategy, and more potential sources of yield than is commonly understood. While a simplified version of creating wealth from prosperity may be the most familiar of the income property-based asset/liability management strategies, what may be the most surprising strategy of all is how asset/liability management can be used to not only financially survive extraordinary economic crisis accompanied by the destruction of much of the purchasing power of currency – but to turn such a disaster scenario directly into personal wealth. 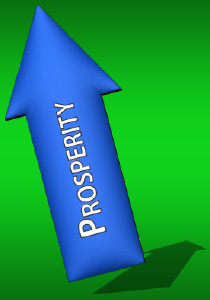 As shown above and explored in DVD #3, the simple purchase of an income property by itself offers little guarantee of success when it comes to financial crisis, because of the vulnerability of real estate prices to the availability of financing, the possible inability of properties and rents to keep up with inflation, and the danger of rapidly rising vacancy rates caused by economic devastation. 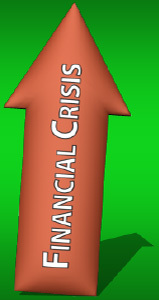 However, as explored in detail and explained step-by-step in the accompanying financial analyses, asset/liability management can be used to access a very powerful source of wealth creation in the heart of crisis that cannot only protect savings, but may significantly increase net worth in purchasing power terms at the very same time. The current conditions for much of the world consist of low or no economic growth and very low investment yields. For investors following traditional strategies, this time of economic stagnation presents an extraordinarily challenging investment environment, and there is widespread concern among leading economists that these conditions could persist for many years to come. However, for some major institutional investors pursuing strategies unfamiliar to the general public, this same situation of low yields and economic stagnation has created a "target rich" playground of profitable investment opportunities. What these sophisticated investors know is that low yields don't mean that everyone makes less money ─ far from it ─ but rather, low yields enable a transfer in wealth within society from those who don't understand asset/liability management principles to those who do. In DVD #4, we explore how to take this prevailing global investment challenge for tens of millions of individuals, and flip it to our personal advantage with the direct creation of wealth in an unexpected manner, whereby the longer the low growth and low yield situation persists – the more wealth that is created. Perhaps the most intriguing aspect of the four unexpected wealth creation strategies explored in the first four DVDs is that they are not mutually exclusive. 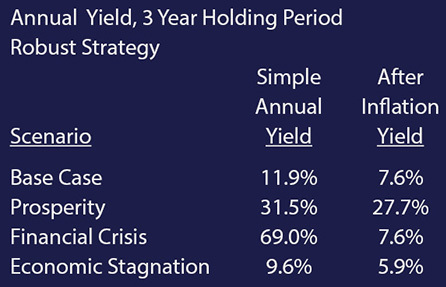 The fifth wealth creation strategy is learning how to combine elements from all four individual wealth creation strategies into a single "robust" strategy, with an objective of stripping out as much risk as possible while still maintaining good to excellent yields regardless of whether the future turns out to be prosperity, financial crisis, stagnation or just a return to "normal" times (as shown below). Many well-intentioned financial professionals might tell you that it is impossible to find an investment that can deliver strong returns in every one of those environments. And if we were to stick to traditional "asset-only" strategies for individuals, they would likely be correct. In the final two DVDs of the set, we explore how to make multiple asset/liability management strategies work together in concert to create potentially extraordinary results when it comes to managing risk and return, and wealth creation. 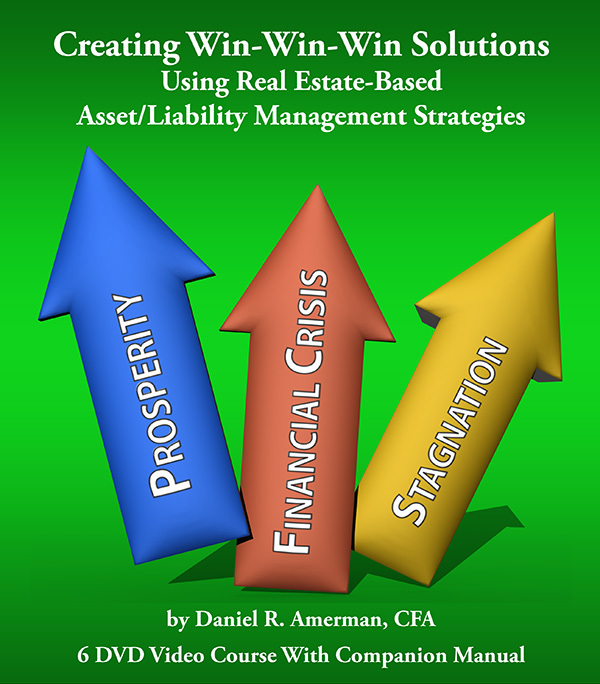 The Creating Win-Win-Win Solutions Using Real Estate-Based Asset/Liability Management Strategies DVDs and accompanying manual is a detailed tutorial that in "layman's terms" shows how to do something that will be very new for most individual investors – which is the explicit and targeted use of asset/liability management strategies to achieve results that are generally close to impossible with traditional asset-only investment choices. Using a combination of understandable conceptual explanations along with step-by-step explorations of over 100 pages of financial analyses, we will be studying and learning something very different and worthwhile indeed – which is how individuals can create solutions that can flexibly deliver an uncommon range of desirable results across a wide variety of potential futures. The sources for these five little-known wealth creation strategies are not in fact deliberately kept "secret" – but for most real estate investors, they might as well be encoded and locked in vault. Ordinarily, gaining an understanding of the principles used is achieved by a combination of at least a degree or two in finance or related fields, followed by years of experience working for sophisticated institutional investors. In this ground breaking new video tutorial, Chartered Financial Analyst & MBA Daniel R. Amerman builds on his over 30 years of professional experience in order to take an enormous "shortcut". Instead of years of formal study, a little more than six hours is spent in a focused exploration of what matters most, with a narration that walks step-by-step through the specialized financial analyses that were created specifically to teach the general public the essentials about how exactly each one of these unexpected sources of wealth creation works, as well as how to use them all together. The strategies explored in Creating Win-Win-Win Solutions Using Real Estate-Based Asset/Liability Management Strategies not only produce very dissimilar results than traditional stock, bond or precious metals strategies – but they also yield quite divergent results in each scenario when compared to the simple purchase of real estate as an asset by itself, with no liability. While the explicit use of targeted asset/liability management strategies is quite uncommon for individual investors, it is fully accepted and indeed the norm for financial institutions and many major corporations. The reason for this – and what sets it apart from traditional individual investment strategies – is that results are not based solely upon the asset, through its cash flows and changes in value. Instead, returns are based on the ongoing and changing monthly differentials in cash flow between what is coming in and going out, as well as the ongoing differential in value between the asset and the liability. By changing the liability (as well as the associated reserves) – these differentials can not only be changed, but shaped, with the quite intentional ability to produce a set of returns that are targeted for different future conditions, and may strongly differ from what is produced by the underlying real estate asset itself. This ability to target and shape the cash flow and value differentials enormously increases the range of possible outcomes, depending on what is needed and desired. The DVDs and accompanying manual offer a quite novel approach to investing when compared to the traditional choices that most individual investors have been exposed to, with widely divergent sources of returns – and risks. It is this genuinely different foundation in which the sources of return themselves vary sharply from asset-only strategies that enables the creation of this unique set of accessible and understandable investment strategies. DVD #1 begins with an overview of each type of financial schedule, with a step-by-step walkthrough starting with just an income property, and then adding a liability. Viewers are shown exactly what is happening, and how to use and interpret the materials. This DVD also delivers the first of the wealth creation strategies, as viewers will learn how to achieve something with asset/liability management strategies that simply doesn't work with traditional asset-only strategies. And that is how to set an automatic creation of wealth going in the background that will steadily ─ and materially ─ enhance yields under normal conditions, with nothing unusual needed and no particular market timing required. Though little understood, this first source of wealth creation can be transformative, as what is usually a slow and relentless background source of wealth destruction with most investments is reversed and changed into a slow and steady source of increasing wealth. What if the future turns out to be prosperous, with very low rates of inflation and thriving markets? What if we have surging productivity, rapidly increasing economic growth, ever increasing prosperity and full employment? Most of us obviously hope for some variation of this future for many reasons, one of which would be investment performance. When nations experience great prosperity, investors generally thrive – and this is the ideal scenario for the creation of wealth using traditional stock and bond investment strategies. This is also the perfect environment for the creation of wealth through the use of real estate-based asset/liability management strategies. Using the financial schedules and illustrations provided, DVD #2 explores the asset/liability management wealth creation method that has been used many times in the past to earn sizzling double-digit yields. We will look at the combination of cash flows and asset appreciation that can indeed produce returns of 30% and even 40% or more per year on an annual basis, with the profits compounding each year. We will walk through rental income, mortgage payments, and expenses, and will examine the results of successfully accomplishing what most real estate investors hope they will be able to do – which is to make an astute investment in what turns out to be a strong market, purchasing a property that climbs in value at a rate above the assumed low rate of inflation, and with rents keeping up with that same low rate of inflation over the coming years. In a time of prosperity (on a societal basis), the use of asset/liability management not only produces yields that can widely outperform what we have traditionally seen with stock and bond investments, but it powerfully increases the yield for real estate investors, as compared to simply purchasing the real estate without any form of financing. As we will explore, this attractive source of wealth is quite distinct from what we see with our other asset/liability management strategies, and it has historically been the source of many real estate-based fortunes. Prosperity for decades ahead would surely be wonderful – but what if the future turns out to be something quite different? There are strong reasons for optimism when we look at history, but there also needs to be the realization that being humans – we make mistakes on a spectacular scale every now and then. We thus have a global history of bubbles popping, banking panics, depressions, and market and currency collapses, going back through the centuries. What is different this time around, and which heightens the cause for concern, is the incredibly complex latticework of many hundreds of trillions of dollars of interlocking contracts that the global financial system has entered into over the last decade and more, where if just one part goes down – everything can like dominoes spiral down together. Not just the stock markets, not just the extraordinary new array of "alternative" investments that continue to be created, and not just the bond markets, but also the deposits, the annuities and other insurance contracts, along with the pensions, as well as the value of money itself. We came within weeks or perhaps days of this nightmare scenario occurring in 2008, when a relatively tiny little sliver of the global financial markets – that of US subprime mortgage derivatives – went very bad indeed. And as explained here, the International Monetary Fund is well aware and indeed concerned that the potent combination of counterparty risk, liquidity risk and contagion risk remain in the system and could still potentially bring down the global financial system. We currently have a high wire balancing act of sorts, with some of the most richly valued markets in history, even as the economic fundamentals remain profoundly dysfunctional (particularly in Europe), with the difference being bridged by the Federal Reserve and other central banks using "unconventional monetary policy" (also known as creating trillions of dollars out of thin air) in an attempt to hold rates down and prop market levels up. What happens if they fail? We live in a world where most of our standards of living are linked to an increasingly globalized economy – even as geopolitical strife is steadily rising around the globe. What if it turns out not to be so wise after all to have our standards of living be reliant upon a smoothly functioning global financial order and global supply chain, each of which are themselves utterly dependent on a demonstrably vulnerable internet? With any of these kinds of scenarios, there will never be a time that investors will more need their assets – and this is the exact time where their assets are likely to be worth the very least that they have ever been. In such an environment we could see catastrophic damage done to stocks, bonds, ETFs, pensions, annuities, deposits and the purchasing power of money. Now it would obviously be highly desirable to have a financial strategy that can not only survive such an environment with the value of net worth intact, but actually profit from it. As we explore in detail in DVD #3 and the accompanying manual, using ongoing cash flows, and changes in asset values, there is indeed a way to use asset/liability management strategies to access a third type of wealth creation. This is a strategy where the greater the damage to the financial system, and the greater the destruction of the value of money – the more wealth that is created by the asset/liability management strategy. This source of wealth creation is simply not accessible with traditional asset-only investments for individuals. It is also very distinctly different from real estate by itself, because we're going to put some pretty stern demands on what happens with real estate in such an economic environment. We're going to assume that real estate plunges in value on an inflation-adjusted basis, we will assume rising vacancies, we will assume rents that don't keep up with inflation, and we'll assume exploding levels of expenses. And yet, using a fundamentally different source of returns and a fundamentally different type of asset/liability management strategy for real estate, we will show how to potentially come through this not only with our net worth intact in real terms, but potentially higher than it has ever been. What if the future turns out not to be one of the extremes of great prosperity or financial collapse – but just a continuation of what we've been seeing in recent years? What if, as many leading economists currently fear, an aging and heavily indebted society – both in Europe and the United States – produces a state of "secular stagnation", characterized by a long term environment of low growth and low interest rates? That would likely remove most of the future profit potential for strategies that are effectively reliant upon economic growth, such as stock investments. Meanwhile, the indefinite continuation of the very low interest rates that economies around the world are currently addicted to would mean that savers on a global basis would be earning interest results (when they purchase high quality assets) that don't even keep up with the official rate of inflation – much like has been true for the last four years. In such a long term environment of economic stagnation, the wealth is simply not being produced. Stocks are not performing, even while bond buyers and other savers lose a little bit of the value of their savings to moderate rates of inflation every year. Yet, a persistent overall stability (even if artificial) means that precious metal investors may also see a steady erosion in the value of their investments, as the "insurance premium" that currently forms much of the value of precious metals is steadily eroded away. Unfortunately, it is very difficult to find solutions for this environment when it comes to either traditional stock and bond based investing, or to financial crisis and meltdown-oriented strategies such as a 100% investment in precious metals. What is taught in Creating Win-Win-Win Solutions Using Real Estate-Based Asset/Liability Management Strategies is how to take this extraordinarily challenging investment environment and potentially turn it directly into sustainable and reliable personal wealth. 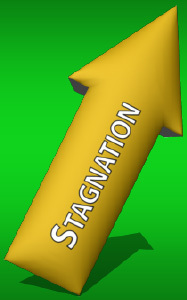 Where the longer that the stagnation and low yields remain – the greater the personal wealth that is created. As we will explore in detail in DVD #4, using our illustrations and financial schedules, such an environment creates a powerful fourth source of wealth creation mechanism for real estate investors who are using asset/liability management strategies, with annual returns possibly greatly exceeding what can be found through bonds, stocks, or precious metals investment strategies in such a challenging environment. As we will also explore, a stagnant economy is not a particularly attractive one for real estate by itself, and we will assume real estate values and growth in rental income that do not even keep up with the rate of inflation, while the growth in property expenses exceeds the rate of inflation. Nonetheless, with a full understanding of asset/liability management principles, this does open up a "target rich environment" when it comes to ways of directly turning this low yield/low growth environment into income. This fundamental source of wealth creation differs strongly from the sources of wealth for the prosperity and financial crisis strategies, even as the results sharply differ from those of simple real estate ownership by itself – and it is simply not accessible with traditional asset-only investments for individuals. So we have one kind of asset/liability management strategy that quietly works in the background, building wealth through a method just not available to asset-only investors. We have a second and quite different type of asset/liability management strategy that can thrive with prosperity and likely strongly outperform other prosperity-based investments such as traditional stock and bond investment. We have a third and distinct asset/liability management strategy which is targeted for financial crisis and can thrive in such an environment. We then have a fourth type of asset/liability management strategy that creates wealth from the low growth and low yields of stagnant economies. 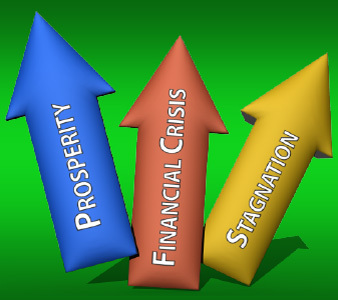 Now while the separate explorations of these four different types of wealth creation are likely to be an intriguing and major eye-opener both for existing real estate investors and for those looking for new long term investment solutions in general – what may be most appealing of all is that there is a method of combining all four of these forms of wealth creation. We previously discussed the ability to not just change but to "shape" cash flows when looking at the differentials between what's coming in and going out with ongoing monthly cash flows, as well as the differential between the value of the asset, any associated reserves, and the value of the liability. In this fifth and most important step, we integrate what we've learned, and explore what is involved in creating strategies that are able to deliver these robust returns. Now as we will also cover, any time that we're shaping – there are trade-offs in seeking robustness. That is, if there is prosperity, a strategy designed for robustness likely won't do as well as one that's specifically based on prosperity. Likewise, if there is financial crisis – a robustness-seeking strategy won't do as well as a strategy that's designed precisely for financial crisis. And if the market is one of economic stagnation, a robustness-seeking strategy likely won't do as well as would a pure low yields-based strategy. But what we do have is arguably something far better, which is an understanding of how to formulate a strategy that delivers what the traditional strategies lack, which is a robustness that not only preserves net worth across all these scenarios, but delivers "pretty good" returns as well. Now again, most people assume that's impossible, and when it comes to the usual manner of individual investing they would be pretty much correct. No such strategy likely exists, if only the asset is purchased. And this applies to stocks, it applies to bonds, it applies to real estate, it applies to precious metals, and it applies to many alternative investments. With asset/liability management on the other hand, it is indeed achievable. And this six-DVD set with accompanying manual walks through over 100 pages of detailed financial schedules, specifically to show you how. This is the most unique and compelling advantage to these real estate-based asset/liability management strategies, and delivers the potentially greatest benefits to those risk-averse investors who feel uncertain about what the economic future will hold, whether it's prosperity, financial crisis, or stagnation. What's Truly Different About This? Much of what is contained in the DVDs and manual represents a quite new and very different approach to risk and return than what most individual investors have previously been exposed to. Now this is not to say that variations of some of the concepts have never been used before, as they have indeed, and quite extensively. However, they have been traditionally only been used in what could be described as a quite different investment universe, at least compared to that of individual investors. On the one hand we have individuals buying real estate (or other investments), which has been done by a huge number of people in a wide variety of ways over a very long time. Many fortunes have been made this way, and fortunes have also been lost this way. For individual investors, the unique aspect of this DVD set is the explicit incorporation of principles used in asset/liability management by financial institutions and corporations. Unless you have actually worked in this area – and likely have a degree or two in finance as well – there are things going on here that you have probably never been exposed to. But are the underlying concepts all that radical? Is this really that far out of the range? To answer that we need to keep in mind that investments for individuals are a subset of investments in general, which are a subset of the parent discipline of finance. And for most areas of finance other than investments for individuals, asset/liability management is the unquestioned norm. 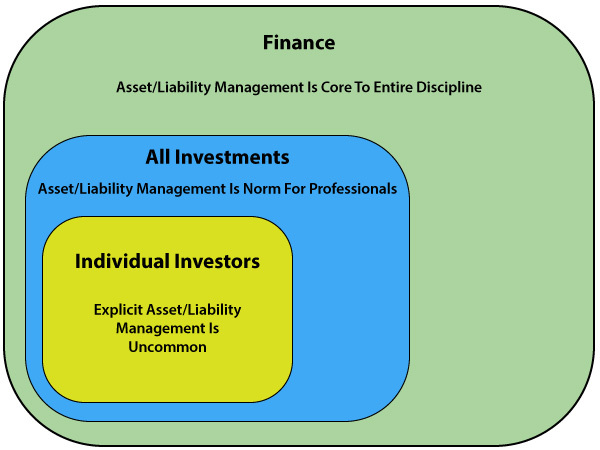 Corporations engaging in asset/liability management is the routine during healthy and prosperous times because that is how they make the most money. When we look at financial corporations such as banks and insurance companies, what are they really? They're all professional asset/liability management organizations. So are pension funds. When we look at ordinary major corporations, when we look at city governments, when we look at state governments, what do they all have in common? They're all engaged in liability management as well as asset management. When we look at a treasurer, or at a chief financial officer, what are they doing? They're managing assets and liabilities – and the differentials between them, with regard to both cash flows and valuation – in an attempt to maximize shareholder wealth. Asset/liability management is one of the very core components of professional finance, and there's an excellent reason for this – even when it comes to major corporations with large cash flows that should be the last organizations you'd think would ever need to have liabilities. And that is because by adding liabilities into the mix, you can vastly expand the range of available options when it comes to ways of increasing return on equity, of managing risk and of managing taxes. Daniel R. Amerman is a Chartered Financial Analyst, author, and speaker, with BSBA and MBA degrees in Finance, and over 30 years of professional financial experience. As an investment banking vice president in the 1980s he did groundbreaking work in the security originations and asset/liability management areas, including CMO/REMIC originations as part of portfolio restructurings for financial institutions, as well as the creation of synthetic securities for institutional clients. As an independent quantitative analyst in the 1990s and 2000s, he structured mortgage-backed bond financings and provided analytical services for real estate acquisitions by multifamily and commercial real estate owners, investment banks, and tax-exempt issuers. 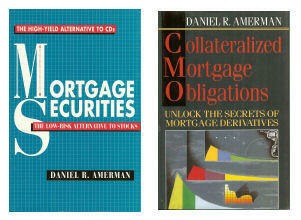 Mr. Amerman is the creator of a number of DVDs and books on finance, including two books published by McGraw-Hill (and subsidiary): Mortgage Securities, and Collateralized Mortgage Obligations: Unlock The Secrets Of Mortgage Derivatives. He has been a speaker and workshop leader for sponsors including The Institute for International Research, New York University, and many banking groups. Beginning in the early 1990s, Mr. Amerman became an outspoken critic of conventional retirement planning, arguing the accepted paradigm had multiple deep flaws that could potentially lead to a profound long-term underperformance, resulting in millions of retirement investors finding themselves with neither the retirement portfolios nor the retirement lifestyles that the traditional financial education system had led them to believe would almost assuredly be theirs. Dissatisfied with the conventional choices for investors, Mr. Amerman has spent a number of years in researching alternatives. Drawing upon his background outside the individual investor industry, he has developed an interrelated group of non-traditional solutions – including asset/liability management strategies – for such concerns as financial crisis, inflation, inflation taxes, low economic growth rates, and pervasive low yield markets. The Creating Win-Win-Win Solutions Using Real Estate-Based Asset/Liability Management Strategies DVD set is a focused educational resource designed to teach you essential information in a matter of hours that might otherwise require multiple semesters of academic work, followed by years of applied work experience. This is accomplished through using an intensive "hands on" approach. Rather than conceptual review, with theory and jargon, the DVDs primarily consist of a series of over 100 financial analyses and schedules on the screen (this is not a "talking head" video), with the same or sometimes expanded versions of those schedules available in the manual to review and take notes on. We walk step by step through each strategy, the potential scenarios, and then the results – and why the results exist. We walk through assets and liabilities and the differences thereof, and how changes in these differences creates yields in both actual dollar (nominal) terms as well as inflation-adjusted terms. We walk through highlights of the annual cash flows produced by the asset, as well as expense changes, debt service payments, and net cash flow. We then look at this combination of the cash being produced and changes in net worth that deliver these yields – and why these yields exist. We do this with a basic asset/liability management strategy that will create wealth in the background for us in normal times. We do this with a different asset/liability management strategy that is optimized for a possible future of prosperity. We do this with quite different asset/liability management strategy which is designed for a possible future of financial crisis with associated currency valuation and economic devastation. We do this with a distinctly different fourth asset/liability management strategy which targets a future of government-dominated markets and economic stagnation where nothing ever thrives, and returns are low, but the financial system never collapses either. We then take a look at ways of combining the best features from each of our specific strategies for specific futures into a fifth and very robust asset/liability management strategy that is designed to handle far greater variation in what the future turns out to be, while still delivering quite good results in just about any alternative. Now a major challenge when it comes to doing real estate analysis for a wide and diverse audience is that real estate is the supremely local investment. And this is particularly true when you look across multiple nations. Therefore what is contained in the DVDs, what forms the great majority of these materials, is best characterized as a "reasonable example". We use a reasonable "capitalization rate" for most markets (net operating income divided by purchase price). Now properties generating that much cash flow as a percentage of purchase price probably won't be available at all in high-value markets such as Vancouver, Sydney and many cities in California where rents haven't kept up with rapidly rising property values. On the other hand, capitalization rates in excess of what we show are available in many secondary markets. We use a reasonable expense ratio – depending on the particular metropolitan area and the type of property. It is possible to do better, and it is possible to do worse. The available mortgage rates are round numbers that are based upon the US market with Fannie/Freddie 1 to 4 unit mortgage loans. All of these factors change on a frequent basis, in addition to being local. Indeed, it is the nature of real estate that even in the same city and nation, two different properties that are ten blocks apart and with six months separating the acquisitions, could generate quite different cash flows and yields. It thus needs to be clearly understood that the exact path of the future is highly unlikely to precisely correspond to the smoothed path shown in any set of financial analyses. And when we add in other local and national factors, whatever the opportunity that is available, it is highly unlikely that actual results will precisely correspond to the exact cash flows and yields that are explored in the DVDs. Instead, the purpose of this DVD set is to serve a different and very important need indeed – which is financial education. By going directly to a hands-on immersion in the many pages of cash flows and financial schedules – in understandable layman's terms – the goal is to in a relatively short period of time offer a clear and even intuitive explanation of what are quite different sources of wealth creation than what most individual investors have been previously exposed to. So that, in a future financial environment of prosperity, you will clearly understand how to potentially create yields far in excess of what is ordinarily realized by stock and bond investors, using the same type of asset/liability management methodology that has created many real estate fortunes around the world. Upon completing this review, you will have an uncommon understanding of how to use asset/liability management strategies to directly profit from major financial crises. After walking step-by-step through these cash flows, you will learn how to take this maddening low growth and low yield environment that so many investors are having difficulty in dealing with, and you will understand how to do what many corporations and financial institutions are currently doing – which is to use asset/liability management strategies to flip this environment to your advantage. And most importantly, because you will have a hands-on understanding of these multiple sources of wealth, you have a much better idea of how to apply these elements to your own personal situation. Please note that the DVDs and companion manual are of a strictly educational nature, rather than the rendering of professional advice. The future is uncertain, and there are no guarantees or promises of success or particular outcomes. As with any financial decisions, there is a risk that things will not work out as planned, and with hindsight, another decision would have been better. The DVD set and printed manual will not include specific investment, legal or any other form of professional advice. If specific advice is needed, it should be sought from an appropriate professional. Any liability, responsibility or warranty for the specific results of the application of the general educational principles contained in the DVDs and the written materials, either directly or indirectly, are expressly disclaimed by Daniel Amerman.